Please join the host of Stand For Truth Radio SUSAN KNOWLES as she gives you her perspective for the entire hour on Monday, May 7, 2018 at 6pmPT/9pmET. I'll bring you my thoughts about what's happening in the world of current news and politics. Tonight I'll be discussing the opening of the US Embassy in Jerusalem and today's celebration, protesters on the Gaza/Israeli border, Iran's new threat, what North Korea stands to gain from America, latest Cartel ploy and ... Más informaciones CA's Communist holiday? plus more. Catch all of my shows on Spreaker.com. 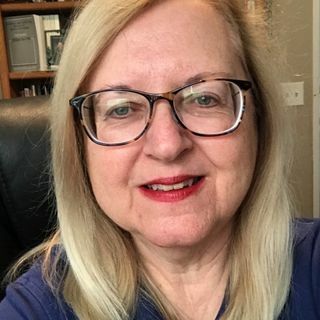 Stand For Truth Radio with Susan Knowles with all shows including Knowles On The News and God's Views On Political News. Susan Knowles is the author of the popular children's book featured on the Todd Starnes Radio Show on March 9, 2018, "My Ears Are Not Like Yours." Her book offers encouragement and hope to young children and is available on Amazon.com. Susan is a licensed psychotherapist, former practicing Family Law attorney, online conservative radio talk show personality and producer at Stand For Truth Radio. She has appeared as a guest on The Glenn Beck Show, The Pat &amp; Stu Show and The Rick Amato Show on One America News Network. Susan has also been a frequent guest on The Morning Blaze with Doc Thompson. In addition, she has made guest appearances on AM 760 KFMB, 600 KOGO News Radio San Diego, 106.7 WYAY FM in Atlanta, News Radio 610 WIOD in Miami, Fla. and Overnight America with Jon Grayson. Susan is also a former Contributor to TheBlaze.